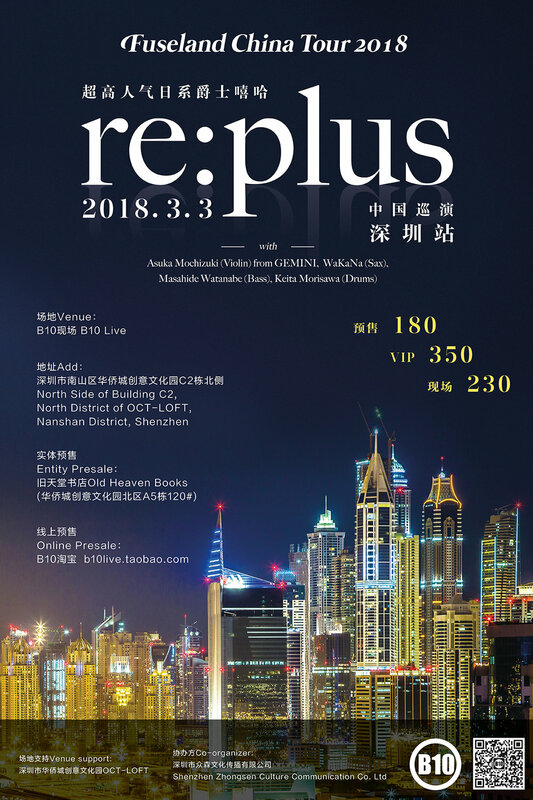 “re:plus” is a music project led by Hiroaki Watanabe, who was born in Numazu in Shizuoka prefecture. Watanabe’s influences come from a myriad of genres: break-beat, house, hip hop, jazz, ambient, acoustic, electro and more. He’s assimilated all that he’s heard through a personal nostalgic filter and created a new unique sound. The debut single of re:plus called Everlasting Truth was featured on the official bootleg album In Ya Mellow Tone 3 (2009), which reached the top of the iTunes hip hop chart. The re:plus debut album Everlasting Truth(2010) also reached the top of the iTunes hip hop chart, and ever since has been considered a monumen-tal work of Japan’s hip hop scene. The second single from this album Time Goes By was a hit in Korea, and the music video received more than 600,000 hits from around the world.For the second album Ordinary Landscape (2011), re:plus collaborated with Digipedi, renowned visual artists from Korea. The new works received a lot of buzz, and Ordinary Landscape’s sales eclipsed the sales of Everlasting Truth, which es-tablished re:plus’ position in the international hip hop community. In 2015, re:plus released a third album Miscellany featuring killer tracks Yourside (feature Sam Ock), which sounds like an anthem for the future of hip hop. re:plus took this new music on a Japan-wide tour with Sam Ock in May of this year.